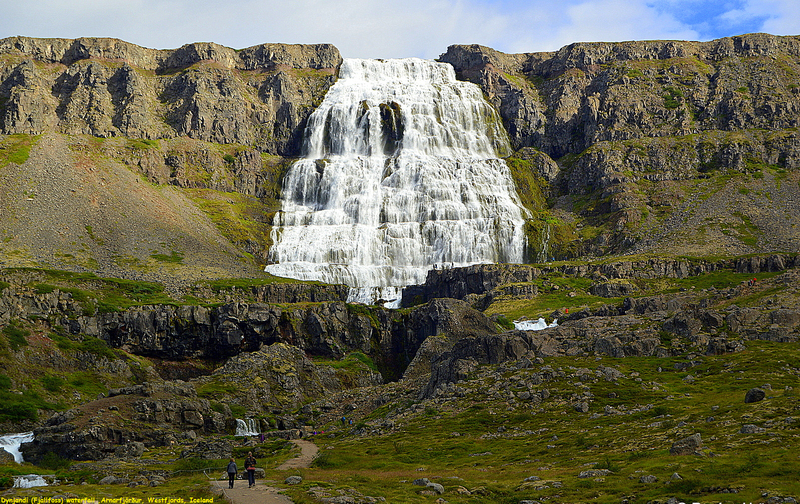 Dynjandi (also known as Fjallfoss) is a series of waterfalls located in the Westfjords (Vestfiroir), Iceland. The waterfalls have a total height of 100 metres (330 ft). You have to walk up to the falls itself, it climbed immediately uphill through a combination of slopes and stairs. Some sections of the paths were pretty steep and rocky, but by and large the path was very doable by anyone with a reasonable amount of fitness. Perhaps it was more of a cardiovascular workout since the path went relentlessly uphill until it reached its end at the base of the main waterfall.